In the spotlight and under pressure, a series of walls are coming straight at you! Each wall has a gap cut out in a different body shape. Hold a Joy-Con in each hand and move your arms to match the shape and slip through the gap! Sounds easy? It is at first, but the gaps get smaller and the walls get faster. How long can you survive before you're plunged into the slime? Practice alone or play together for some serious fun! 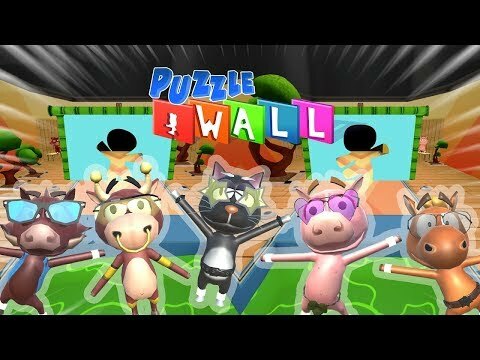 Puzzle Wall was released on Switch 176d ago in the US and the UK. Notify me when Puzzle Wall is available.